Billionaire Warren Buffett’s HomeServices of America Inc., a Berkshire Hathaway affiliate, is buying Ebby Halliday Realtors. Most Ebby Halliday employees were out of the office on Monday, attending an off-site meeting where company officials announced intentions to be acquired. Serving the residential real estate needs of North Texas since 1945, Ebby Halliday participated in more than 18,800 transactions in 2017, with a sales volume of more than $8 billion. The firm ranks 12th in the nation in sales volume. 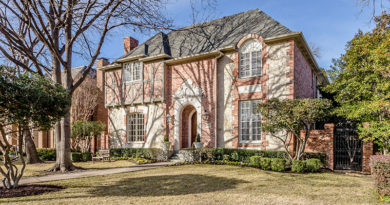 The Ebby Halliday Companies includes Dallas-based Ebby Halliday, REALTORS® and Dave Perry-Miller Real Estate and Fort Worth-based Williams Trew Real Estate, as well as affiliated companies Home Team Mortgage and Texas Premier Title. For more information, visit ebby.com.